Carol Burns, a key member of the Toni Haber Team, embodies excellence, ethics, and discretion in every aspect of guiding client decisions to sell, buy, or invest in real estate. Integrity and respect informs the guidance given to clients as well as her interactions with colleagues. 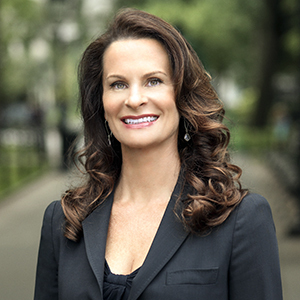 An astute professional well-versed in real estate transactions, Carol’s high-touch and data-driven approach drives optimal results while her strategic end-to-end solutions and exquisite attention to detail uniquely contribute to a seamless client experience. When working with clients, instead of a one-size-fits-all strategy, Carol listens carefully, assesses needs, and then develops a customized plan to achieve her client’s goals. Whether a first-time buyer or a seller with a substantial portfolio of properties, Carol prides herself on anticipating and meeting every client need while providing direct access at all times to ensure a seamless experience. Prior to real estate, Carol spent over two decades serving in leadership roles with not-for-profit and private sector organizations, including Ernst & Young, Sara Lee Corporation, and Wake Forest University. Her passion for success and commitment to leading, not following, have been hallmarks throughout her career. Carol was raised in Charlotte, NC and later in her career resided in Washington, DC before moving to Manhattan. She holds Bachelor of Science degrees in both accounting and business administration from Greensboro College and a Master’s in landscape design from George Washington University. Carol calls Tribeca home as well as East Hampton. An advocate for access to higher education, she supports various mission based not-for-profit organizations.